New York Hearing Center (New York) - Book Appointment Online! 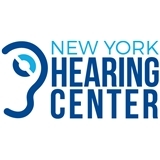 New York Hearing Center has been helping patients hear their best since 2006 from our convenient locations in Manhattan and Brooklyn. Our goal is to provide you the best possible hearing care, based upon your individual needs and budget. We specialize in hearing assessments, hearing aid evaluations, and ear molds for your premium in-ear monitors. Choosing a hearing professional is one of the most important decisions a hearing impaired person can make. Since a hearing aid cannot be prescribed like eye glasses, proper hearing aid recommendation and fitting is highly dependent on the judgment and skill of the professional selecting the instrument. Call us at 212-966-3886 to discuss what’s best for you and for additional appointment times if you can’t find something online. Very fast, great service, kid friendly. Receptionist very friendly polite, greet attitude.